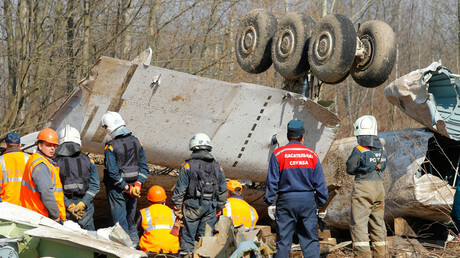 The crew of the Polish presidential plane, which crashed near Smolensk in 2010, ignored repeated dispatcher warnings, Polish TV channel TVN24 reported. The broadcaster says it analyzed the new and “clearest transcript” version of the cockpit recording. The channel got hold of a “digitally cleaned” audio recording of the last 38 minutes of the flight of the presidential Tu-154 airplane. In this version experts managed to decipher nearly 40 percent more sound. “The recording allows us to understand the situation in the cockpit and is proof that the pilots ignored numerous warnings,” TVN24 said, adding that one can hear the crew joking and laughing. The pilots were warned several times by air traffic control that visibility in the fog was limited to about 400 meters. Half an hour before the tragedy, a Belarusian dispatcher in Minsk reportedly informed the crew of the poor weather conditions and low visibility. The pilots continued to discuss the planned celebrations in Katyn and didn’t divert from the route despite further warnings about low visibility in Smolensk, the channel said. About 16 minutes before the crash, the crew received “probably the most important warning,” which came from a Yak-40 plane that had just landed, TVN24 reported. The Yak-40 crew told the director of the diplomatic protocol that it would be extremely hard to land, and that a better idea would be to fly to Moscow or somewhere else. Repeated warnings seemed to fall on deaf ears. 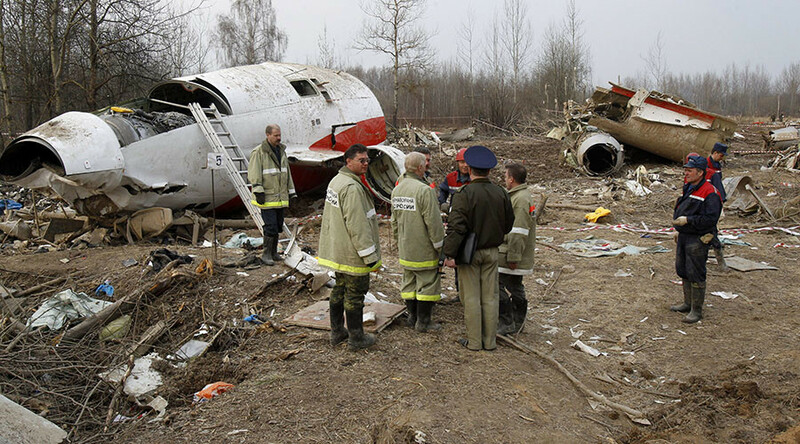 On April 10, 2010 a Polish Tu-154M plane flying from Warsaw to Smolensk, Western Russia, which was carrying President Lech Kaczynski and his wife, the governor of the central bank, all senior military commanders and other high-profile officials, crashed on landing killing 96 people on board. A Russian-Polish investigative team has found that the pilots had been under constant pressure and lacked adequate training. They decided to land despite Smolensk air traffic control’s (ATC) warnings to abort the landing because of low visibility and thick fog. During the final descent, electronic awareness systems fired audible alerts: “Terrain ahead,” and “Pull up! Pull up.” The presidential aircraft hit the ground and was torn apart. In Poland, a number of conspiracy theories began circulating right after the crash, claiming that it was an elaborate Russian plot or a coup attempt allegedly orchestrated by Moscow. The twin brother of Lech Kaczynski, Jaroslaw, as well as Antoni Macierewicz, the-then head of a controversial parliamentary inquiry and now defense minister, became fierce advocates of groundless assassination accusations. These statements spurred wild conspiracy theories offering so-called explanations about what might have killed President Kaczynski and senior Polish officials. Among these is a theory based on a Polish government report, which claimed that when the plane collided with a tall birch tree, several hundred yards away from the runway, a significant portion of the plane’s wing broke off and the tree itself was damaged.